All the apps in Windows 8 appear in the tile form, commonly known as Metro version, that helps you to keep your Windows 8 start screen organized by arranging amazing apps systematically. After getting a good inspiration from this new Metro style look, Google has also come up with an all new feature wherein, you can run can Google Chrome in Windows 8 in metro style by following the below given step-by-step tutorial. The first step is to install Google Chrome browser from the Dev channel right on your Windows 8 system. Just launch the browser from your Windows 8 desktop screen, once done. It’s not done yet, now go onto the Control Panel. well, I know it’s not easy to open Control Panel in Windows 8. Let me give you a quick guide? Just press “Windows key+Q” and type “Control Panel”. Hit Google Chrome and click “Select your Default Program”. Yuppp…its done. Now as you go back to the start screen, you will find your Google Chrome browser in Metro style. 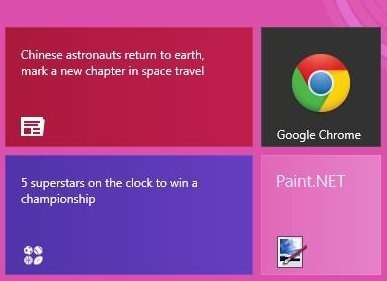 Just follow these steps to easily create your Metro style Google Chrome in Windows 8. You would also like to check out our featured post on other important Windows 8 tutorials.